Alex Little of Lower Hutt topped the podium at the conclusion of Round 2 of the NZ Super Truck Championship at Teretonga Park this weekend. 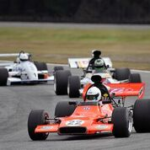 Little, driving a Freightliner Century, won two of the three races and secured 59 points to win the Mobil Delvac Trophy for the second consecutive year while Troy Wheeler of Papakura in a similar truck.. 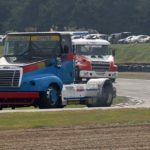 The NZ Super Trucks and Mainland Muscle Cars are the star attractions at this weekend’s motor racing action, presented by Downer, at Teretonga Park. 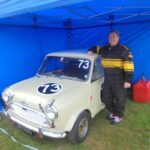 They will be supported by NZ Six Saloons, Noel McIntyre Drainage Club Saloons, Sports & Racing Cars and the A1 Auto Services One Hour Race. 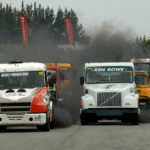 A quality field of 8 trucks has entered what is the..
A former Southlander will return home to compete in the NZ Super Truck races at Teretonga Park next weekend (23/24 March) after a fiery debut at Timaru International Motor Raceway recently. Glenn Johnstone was competing in his first event at Round 1 of the NZ Super Truck Championship in late January when his Scania spectacularly burst into flames. Johnstone, now.. There are always many interesting characters and intriguing tales around the pits at motor race meetings such as the Evolution Motorsport Classic SpeedFest held at Teretonga Park in Invercargill recently and the story of Kelly Pierce of Christchurch in an immaculately presented Mini was a very poignant one. 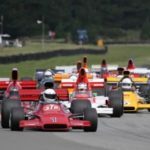 Kelly is the daughter of Alasdair Brass, a regular at SpeedFest over..
2019 EVOLUTION MOTORSPORT CLASSIC SPEEDFEST PREVIEW Around twenty years ago Southlanders were enjoying the motor racing exploits of Invercargill driver LeRoy Stevenson as he raced at the top level on both sides of the Tasman. 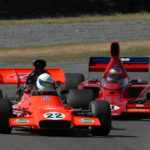 Stevenson, who has driven some special race cars in his time, will be back at Teretonga Park this weekend for the Evolution Motorsport Classic SpeedFest..
Tickets are on sale now for one of the most popular events on the local motorsport calendar - the Evolution Motorsport Classic SpeedFest. 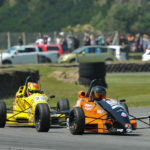 This year's SpeedFest will take place at Teretonga Park on the outskirts of Invercargill over the weekend of 16/17 February. 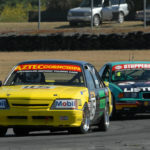 The event will feature a stunning array of cars with Classic Saloons. 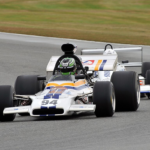 Historic Touring Cars, Formula Libre,..